Nisbet Plantation Beach Club is the Caribbean’s only plantation inn located on the beach and the #1 Hotel on Nevis. While our guests come to Nisbet Plantation for our idyllic beach setting, warm personal service and gourmet dining, many visitors seize the opportunity to give back to the local community. 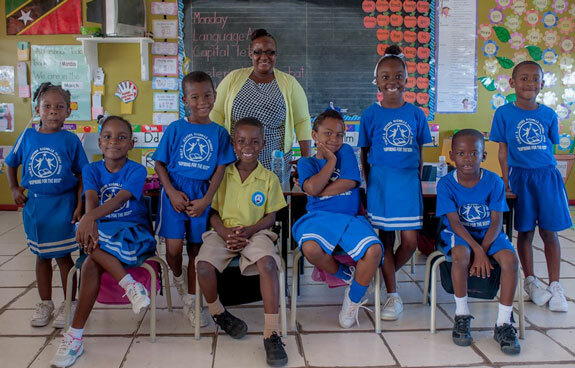 In 1999, our hotel “adopted” a local school, Violet O Jeffers-Nicholls Primary School (VOJN). Now, its students read two grade levels higher and Nevis maintains its 98% literacy rate. With school children ranging from kindergarten to sixth grade, VOJN does an impeccable job of upholding high standards for its 72 students. The school motto is “only the best is good enough,” and the dedicated kids and faculty fulfill this expectation. 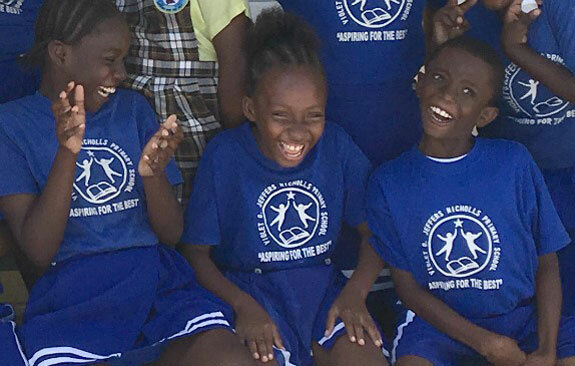 Through our partnership with Pack for a Purpose, Nisbet Plantation guests can donate books, educational tools, and school supplies to help benefit the teachers and students. We include a list of needed supplies on our website and in pre-arrival emails so guests can choose the items they wish to purchase, pack, and donate. In addition to facilitating day-to-day learning, some of the Pack for a Purpose items contribute to the school’s special rewards system. If a student is spotted doing exceptional work or modeling outstanding character traits, they can select a bright pencil, coloring book, fun sticker or any of the other special items. Additionally, each student receives a reward on his or her birthday. The generosity and selflessness of our guests never cease to amaze us! 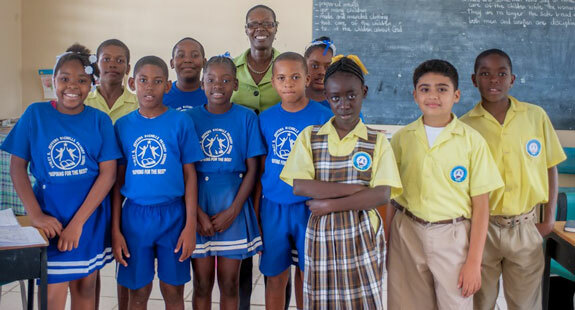 At Nisbet Plantation, we welcome many repeat guests year-over-year, and many have learned about the school and show their support by bringing a donation. And it’s always a welcome surprise when new guests choose to bring supplies on their first stay! Guests can choose to leave their donations at the resort, or opt to hand-deliver them to the nearby school where they’ll be greeted with welcoming songs, friendly faces and lots of hugs. VOJN students have a bright outlook on life, an inquisitive nature and a passion for learning. However, the gratitude and appreciation of guest donations extend far beyond the school. Many of our resort staff’s children, nieces, nephews and grandchildren attend VOJN. For a guest, bringing school supplies takes a small amount of space and minimal effort, but for our Nisbet Plantation family and community, the impact is truly incredible. In a country that thrives on tourism, we want to support the leaders of our island’s future and teach students about this industry. It’s a privilege when Nisbet Plantation is asked to participate in the school’s annual career day, and the staff are always eager to help showcase their own career paths and introduce the students to the hospitality field. We are grateful for our partnership with Pack for a Purpose and our generous guests. Thank you for helping to make a difference on Nevis!